The remainder of the information on this webpage should be considered with caution given the lack of scientific validity of this discipline. The information below is offered to the extent that it is helpful in challenging this scientifically unreliable evidence in court. and concerns about a lack of supporting research, a lack of a central repository of bite marks and patterns, and the potential for examiner bias. American Board of Forensic Odontology Reference Manual - See pp. 106-118 for bite mark methodology guidelines, including methods to preserve bite mark evidence (p. 107), bite mark analysis guidelines (p. 112), bite mark terminology guidelines (p. 114), and guidelines for investigative and final bite mark reports (p. 117). 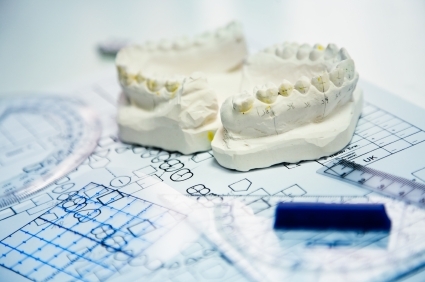 The American Board of Forensic Odontology has an expert locator service available here. Digital Rectification and Resizing Correction of Photographic Bite Mark Evidence - An FBI report on bite mark photographic distortion and corrective measures, using a description of methods used in the analysis of bite mark evidence from a 1973 homicide case that was prosecuted in 2000. State v. Trogdon, 715 S.E.2d 635, N.C.App., September 20, 2011 (NO. COA10-1344). Defendant argued that the forensic odontologist improperly invaded the province of the jury by testifying that the defendant caused the bite mark on the child. The court held that even if the specific assertions that the defendant was the one who made the bite marks were not allowed, the jury still would have heard other evidence with respect to the mark that was not objected to. Therefore, the jury had enough evidence to come to its own conclusion regardless of the assertions of the expert. Bite mark testimony is proffered by the government as evidence identifying the defendant as the source of the bite mark. Pre-trial, trial, appellate or post-conviction cases: The primary interest is assisting with pre-trial Frye/Daubert motions and hearings, but IP will consider bite mark cases in all stages of litigation and may also lend amicus support. For a copy of the Innocence Project's amicus brief in a Frye challenge to the admissibility of bite mark evidence, email Sarah Rackley Olson. The Washington Post published a 4-part series in Feb. 2015 on the flawed "science" of bite mark analysis available here. Criminal Law - Expert Testimony on Bite Marks - a review of State v. Temple, 302 N.C. 1 (1981) where the NC Supreme Court held that testimony regarding bite marks identification analysis is admissible as long as the trial court can verify the scientific methods used were accurate and reliable. Includes a summary of the case, background, and an analysis of the opinion. Forensic Ontology - Bitemark Evidence - a blog created by David C. Averill, DDS, and past president of the American Board of Forensic Odontology. It includes articles and news reports on the controversial area of bite mark analysis, as well as information about cases where bite mark evidence has played a role. These bibliographies (here and here) contain citations to published articles on bite mark analysis. If you need access to these articles, contact Sarah Rackley Olson. Bitemark Evidence and Wrongful Convictions - an article by the Innocence Project identifying concerns with bite mark analysis and discussing five cases where individuals were convicted based largely on bite mark analysis, only to be proven innocent through DNA years later.